Whoa! Here We Are! 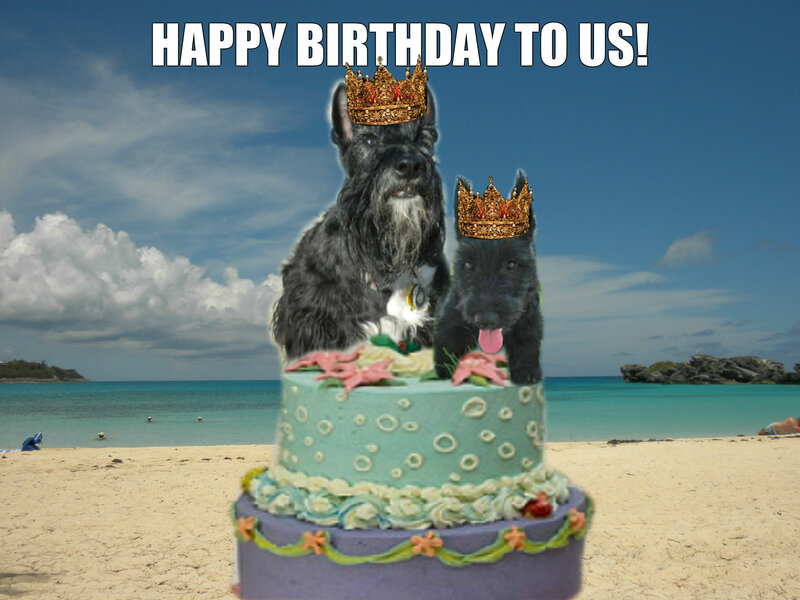 The Barkday Kings! Yes, it’s a blast from the past for today’s Friday’s Foto Fun. Ah, the barkday party fun we had…little Mac with his sandy nose….me and Ranger on top of the cake. How I love the beach. 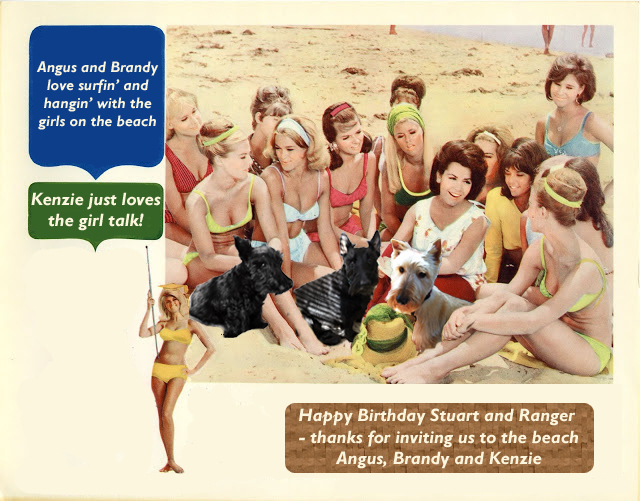 It’s beginning to look a lot like Bermuda around The Scottie Chronicles. Did you notice I’ve switched up my design theme and made my background the color of Bermuda waters and my navigation bar the color of Bermuda sand? 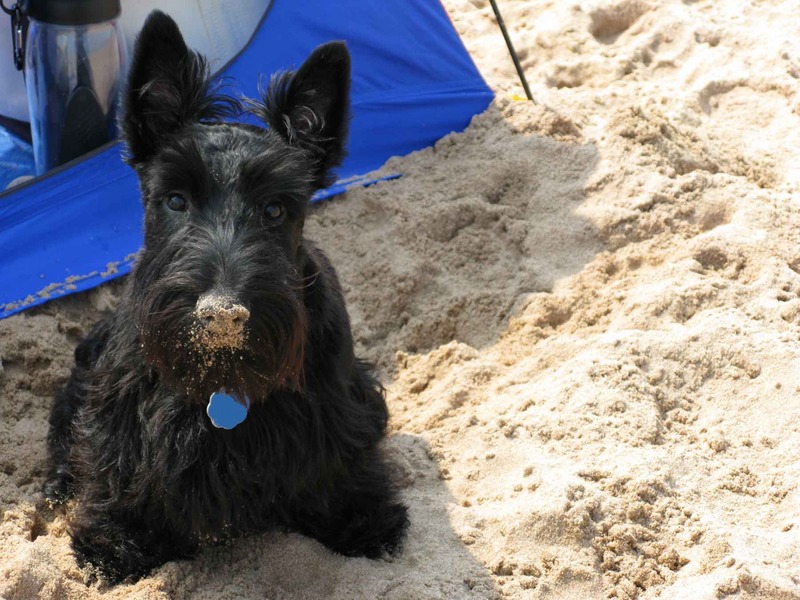 Have a sandy paws weekend y’all! 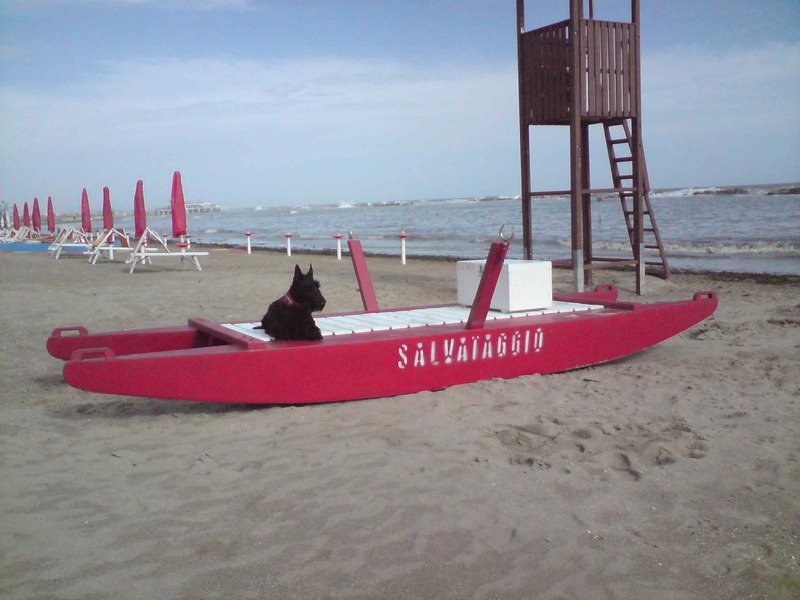 This entry was posted in Scotties, Scottish Terriers, The Scottie Chronicles and tagged beach, Bermuda, dog photos, dogs at the beach, funny fotos, photography. Bookmark the permalink. 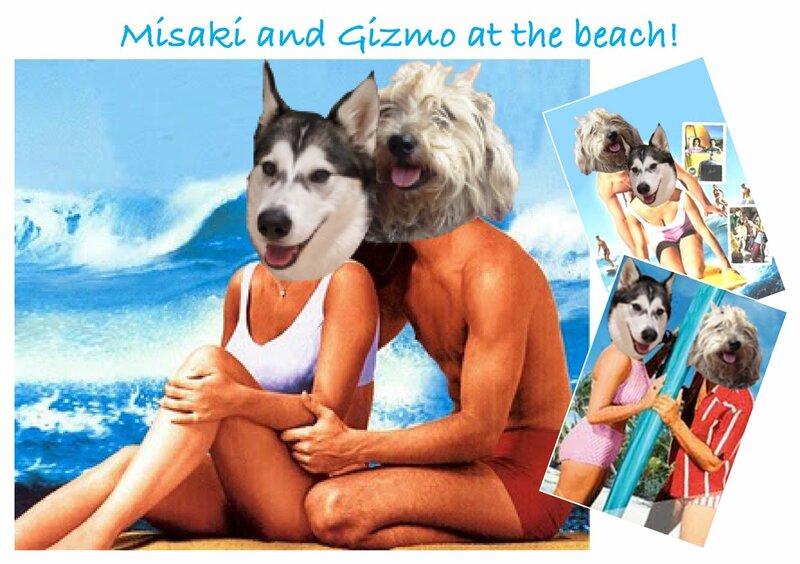 BOL, I sure got a surprise this morning when I opened your blog and saw MY picture at the top! 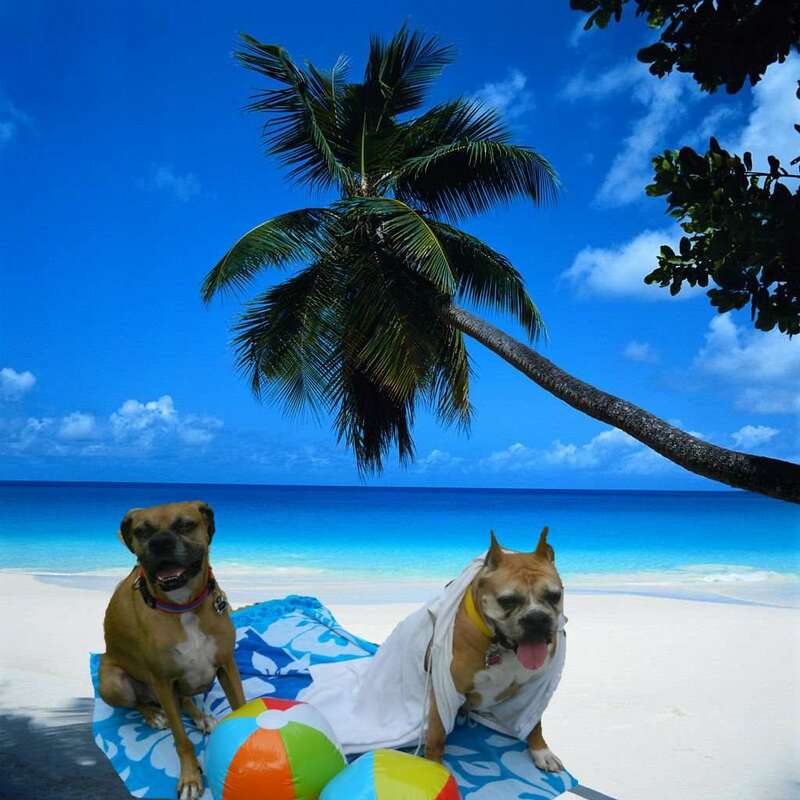 Cinderella and I sure had fun at your beach pawty. Thanks for the memories! That looks like great fun! You do look like a king on top of the cake, Stuart! Best cake topper I’ve ever seen! Love the new colors! Very artistic touch! And you didn’t have to photoshop the sand on the nose in the second picture! Don’t lick the sand off of your nose. You’ll be sorry. Love the pictures and the new colors! It all looks like such fun. What a fun day!! Happy Birthday! !